Date line Nov. 3, 2015 Election Day. The NO on A side has submitted an OPINION piece on why voters should vote NO on Los Altos Measure A. Lalahpolitoc has not endorsed either side. See both her article exploring key issues and her wonky article on the proposed size of the new community center building. There is also an 11 Reasons to Vote YES post. 1. The $65 Million Measure A bond, proposed by Los Altos City Council, carries $69 million in interest and fees, amounting to $134 million according to the city’s Administrative Services Director Kim Juran-Karageorgiou. 2. $25 million from city reserves will be used to fund underground and surface parking even though the city budget notes “many competing demands for limited resources”. Underground parking is currently $80,000 per underground space. 3. Additionally, the city has paid $906,543 to out-of-town consultants as well as $182,800 for election costs, making this a very expensive proposition for Los Altos taxpayers. 4. Unfortunately, the $65 Million Los Altos Measure A bond funds do not include furniture, equipment, moving expenses, operating costs or maintenance of any new facilities. That will be extra. 5. There is no defined plan for what the Measure A funds will create, only a concept. Los Altos City Manager Marcia Somers said the city does not want to “expend city funds without knowing what ultimately happens” with the bond measure. 6. This is tantamount to saying, “Trust us – we know how to spend your money”. But, we have learned from the school bond passed last year (Measure N) voters should demand details before voting yes to any property taxes. We can do better than the proposed ‘fund first’ and ‘figure out the details later’. If we are funding a new community center, where is the detailed specific plan? That is not too much to ask. 7. Friends of Los Altos PAC co-founder and former Los Altos Mayor David Casas questioned the city basing the bond proposal on the 2009-2010 Master Civic Plan environmental impact report and raised concerns that an increase in traffic on Hillview Avenue, a residential street, was not considered. He also questioned the need for three pools — one for competitive swimmers, one for general use, and one for wading. 8. Pool proponents claim the aquatic center will be “self-supporting”, but there is no business plan for its management, operations or maintenance to prove this. The City Council stated it “will make a decision about the method of managing pool operations after funding is secured to construct the project.” So, we have no idea how much we will pay to swim, to keep pools in the black, or how much we will subsidize them when they are in the red. No private investor would fund a multimillion-dollar project without a rigorous business plan. Public investment requires similar scrutiny. 9. 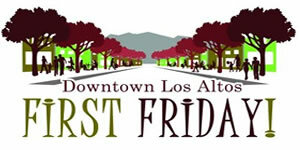 Los Altos Measure A fails to address the priorities ranked highly on the city financed 2012 Godbe Research poll – the only data-based collection of residents’ input related to the overall civic center renovation. A pool, for example, was ranked the lowest priority among community services. 10. The opposition seeks to find common ground for a right-sized, fully designed plan that meets validated community priorities and current use, as well as ties to the approved, long-term community-identified design drivers. Those design drivers include connectivity to downtown, enlarged and enhanced open space, minimized entrances/exits on residential streets, and managed, justifiable costs – all of which are missing from the Measure A proposed concept. 11. 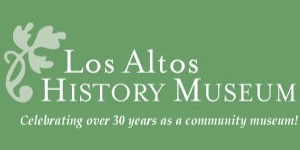 Measure A is opposed by Los Altos residents in over 180 neighborhoods. Vote No on Measure A Los Altos. 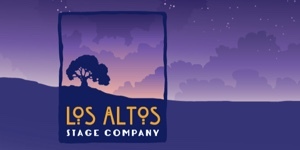 Los Altos Measure A – is that 2X, 3X or just 7 Percent Larger than Hillview Now?